Wichtigsten Hafen und Rheden, Goldregion von Californien. California: San Francisco Bay Cities -- Political. Port De San Francisco Dans La Haute Californie. 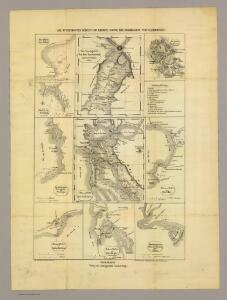 San Pablo Bay, Carquines Straits. San Mateo quadrangle showing intensity, faults.